What's new? 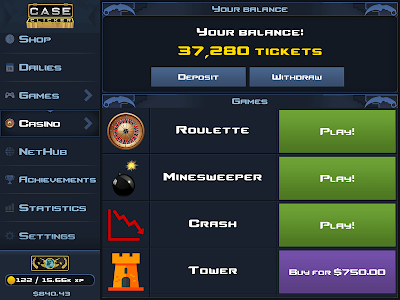 We have added MULTIPLE CASE opening, online realtime coinflips, new casino minigame - ♣ Tower ♣, weapon equipping system, new ranks and much more! 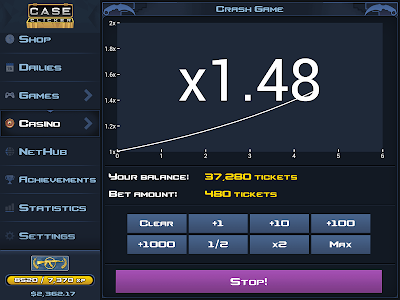 Case Clicker is a combination of the CS case simulator with a clicker. 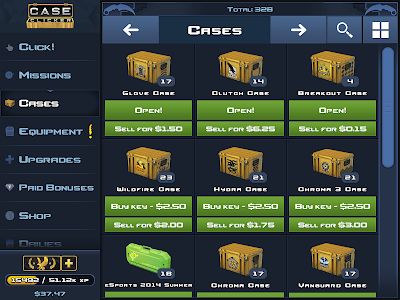 In the game you click, open cases, play minigames, trade with friend and more! 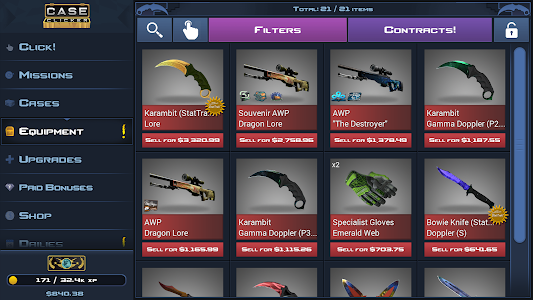 ► Over 1000 obtainable skins! 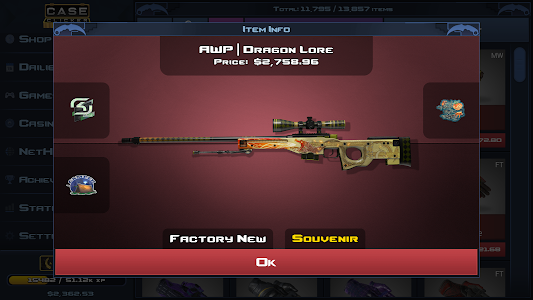 ► Over 1300 obtainable stickers! 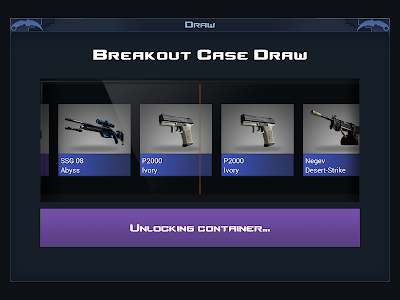 ► Custom Case creator - create your custom cases and share them with other players! 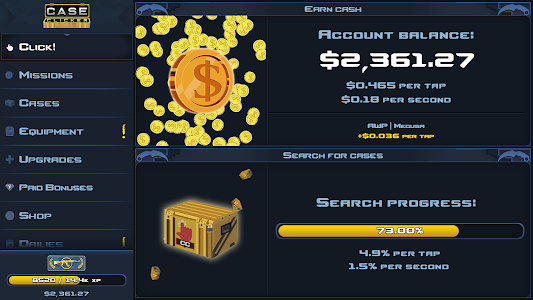 ► Trading system - trade with other players! 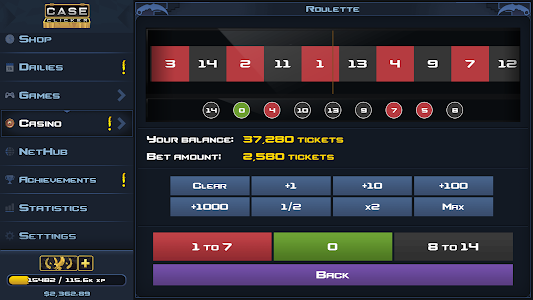 ► Match betting system - bet you virtual items on the real eSport matches! ► Name Tags - name your own skin! 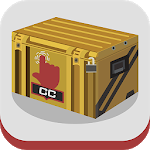 ► Item upgrader - don't like your item? 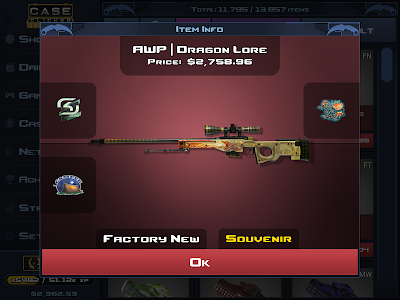 Take a risk and try to upgrade it to a better item! And that's not everything in our case opener game! 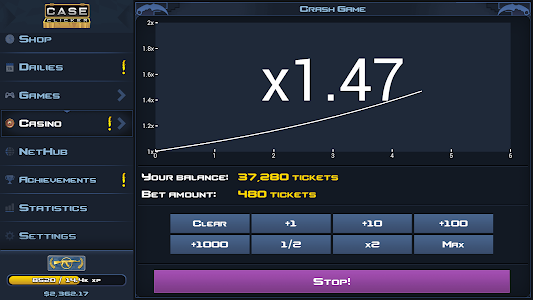 ♣ Crash - are you fast enough to get your skin before the price crashes? ♣ Tower - go up until you reach the top of the tower to get the grand prize! 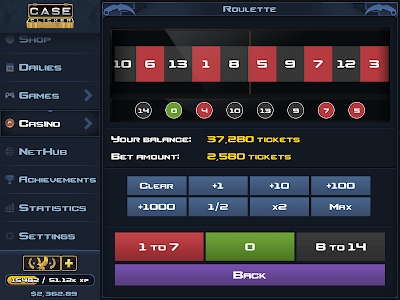 ♣ Online Coinflips - play versus your friend or other players! 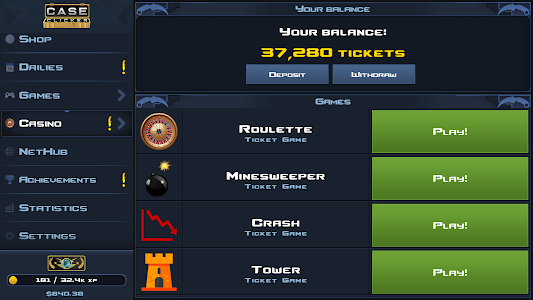 ♣ Scratches - try your luck in one of 4 different scratches! What also can be found? ► Arm deal contracts, just like in real CS! ► Rank and private rank system, from silver to global elite and even further! ► Mission system - do up to 3 missions at once and receive rewards! 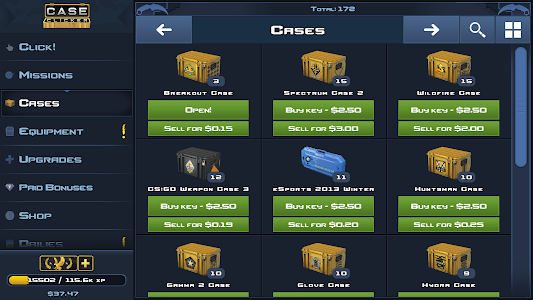 ► Souvenir system - collect souvenir items! 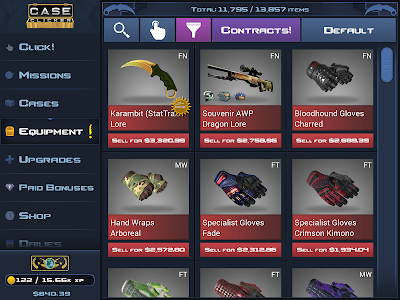 ► Ability to sell skins for real market prices! 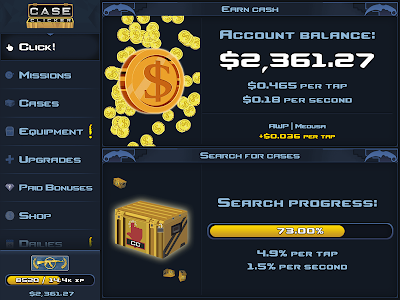 And much more - we are constantly updating the game, so you can always expect something new! Download the game and try by yourself! 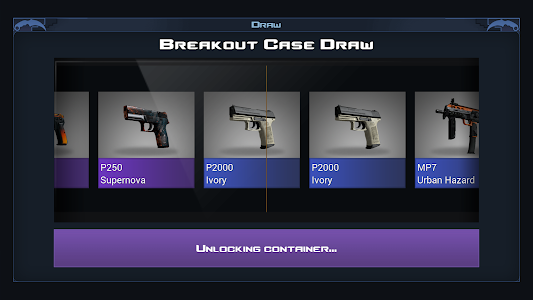 Similar to "Case Clicker 2 - Custom cases!" Money Tree - Grow Your Own Cash Tree for Free!